No, I never can resist a chance to use a silly pun for my post heading… and I never can resist an op shop bargain, but I’m sure you know that by now. 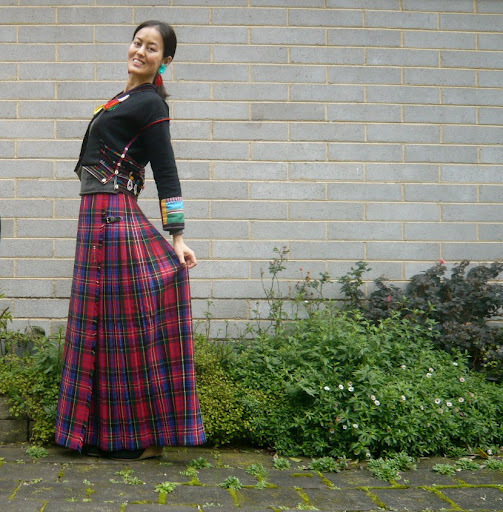 I found this tartan maxi-kilt at the Salvos for only $9, and even though tartan isn’t normally “me”, the bright colours and romantic length reeled me in. Can’t you imagine a stroll through the Scottish heather in one of these? 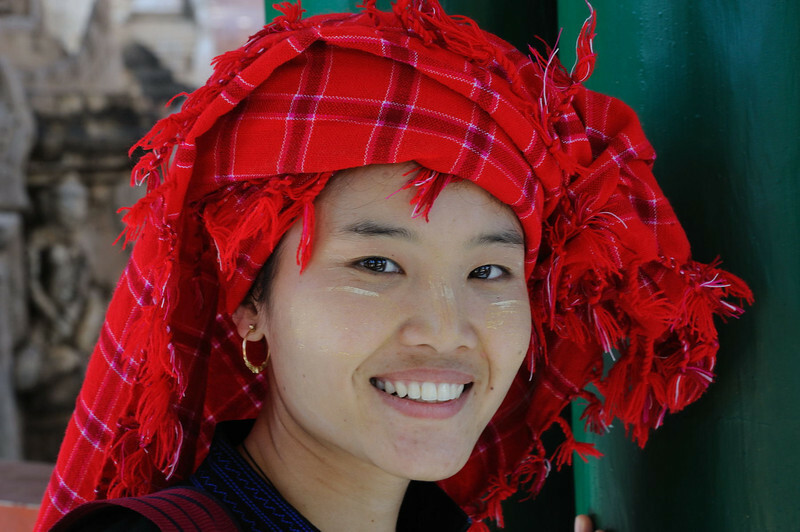 Although you probably wouldn’t be wearing an Akha jacket with it, which is what this is. So my outfit’s not really that much of a mismatch! Not that I would care if it were. 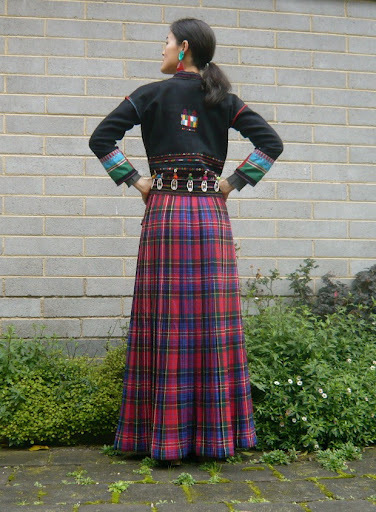 One of the things I looked forward to when I bought this kilt was wearing it in different ways – with a plain top and big jewellery, or with a top covered with embroidery and shells like this jacket … and big jewellery! That skirt is incredible! I think the jacket is the perfect match for it, actually. Great look – I haven't seen a longer length kilt before, but there are always a ton of short ones at Salvos near me.